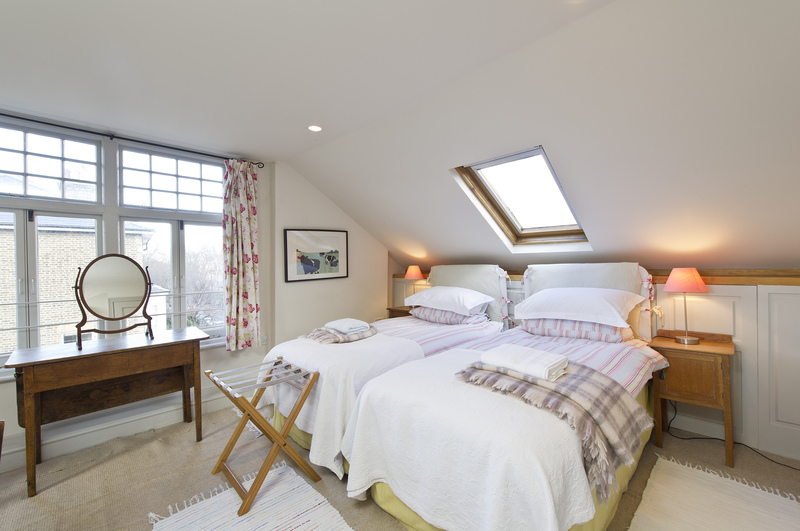 Occupying the whole of the top floor, the Upper Studio is spacious, light, comfortable and quiet. There are twin beds which can be arranged as one double. Or if necessary there is an extra bed too. The mini kitchen has a fridge, microwave, kettle and toaster. The sitting area has two comfy armchairs, desk and TV. The bathroom has a deep, cast-iron bath from which you can gaze out at the birds.